How do I choose the right warehouse management system? What does WMS stand for? What is a warehouse management system? Which features should a warehouse management system have? 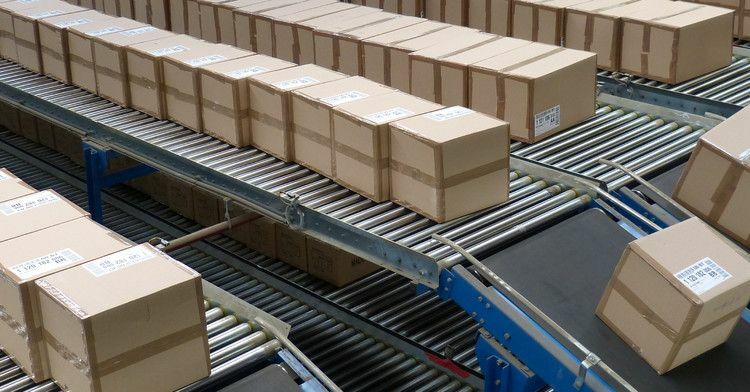 What is warehouse management and which ways of stock keeping are there? 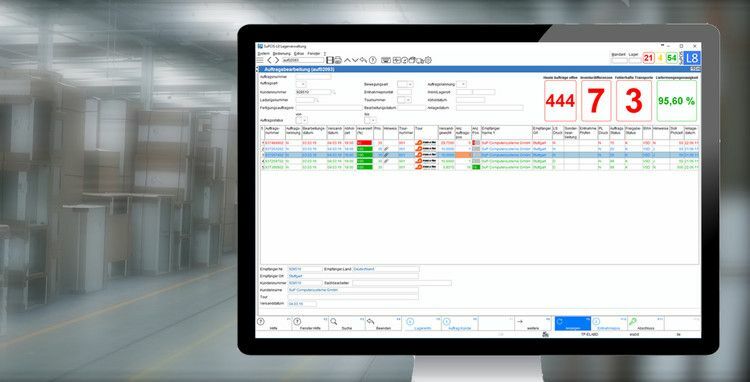 Learn more about the flexible and powerful warehouse management software for logistic centres of any size and in any automation level. What is a WMS and what should it be able to do? 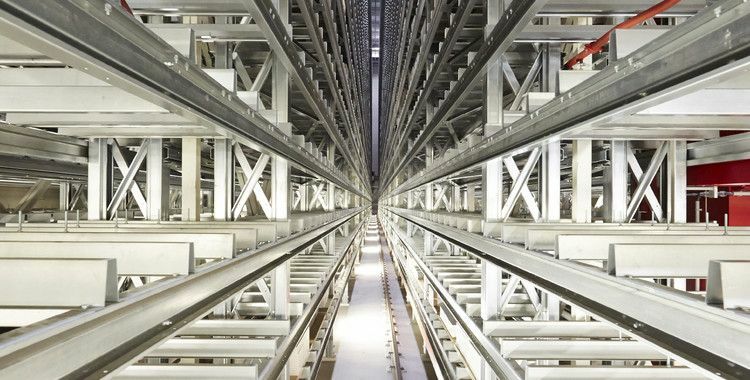 What is its function inside a distribution centre? You have questions or interest in a warehouse management system? Call us at +49 711 726 410, we will be happy to advise you! All information on warehouse management and logistics software on this page is provided by S & P Computersysteme GmbH. For more than 30 years, we have been developing individual software and system solutions for demanding logistics tasks in companies of all industries and company sizes, who are aware of the importance and the uniqueness of their logistics and who want to gain a competitive advantage from this. We use standard components and realize tailor-made suits. Are you looking for the right warehouse management software? Then you are in any case right with us. We provide you with important software for logistics from warehouse management software to picking systems, solutions for transport management, to components for mobile terminals, storage management and much more. With our warehouse software, you always have an overview. Sophisticated warehouse management software has a lot of advantages. Any company that can keep a close eye on their logistics has a clear competitive advantage. Therefore, the acquisition of warehouse management software is an investment for the future. With our warehouse management system, you can control and document all processes. The operation is simple and the logistics software can of course be adapted individually. SuPCIS-L8 is a warehouse management system that adapts to your processes and not the other way round. We would be glad to inform you personally about our warehouse management software - just contact us if you have any questions. At an appointment, we will be able to explain the advantages and the way it works down to the last detail and show why warehouse management software is so important for warehouse management and the entire company. We will give you in person all the answers on warehouse management software or other software for the areas of logistics and warehouse, which you will not find on our website. Even if your project is very complex, you have found a competent partner in us. Do you have a paperless picking in your warehouse yet? We will gladly carry out the planning with you and supply mobile printers, mobile terminals, and any WLAN hardware required for paperless logistics management. Our logistics software can increase the efficiency of your intralogistics with shorter picking times. Warehouse management software from S & P pays off! We are sure that our warehouse management software can simplify your processes, save you time, and thus also money by providing barcode scanning, shipping scanning, shipping control, traceability, batch tracking and storage management. We can also provide you with support in the areas of intralogistics, transport / shipping software, forklift guidance systems and inventory management.